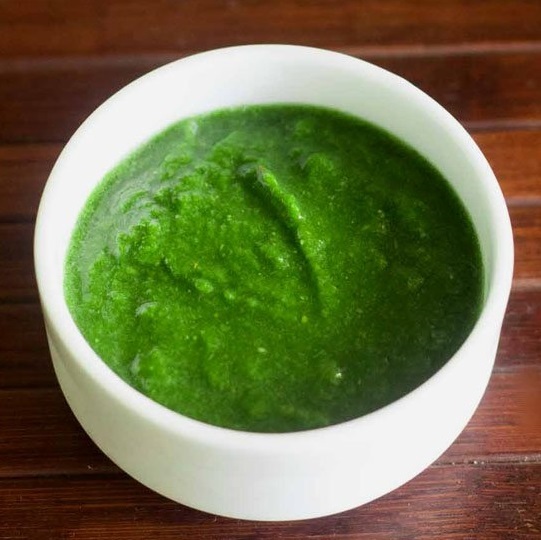 easy and garlicky chutney made from garlic chives and fresh coriander. 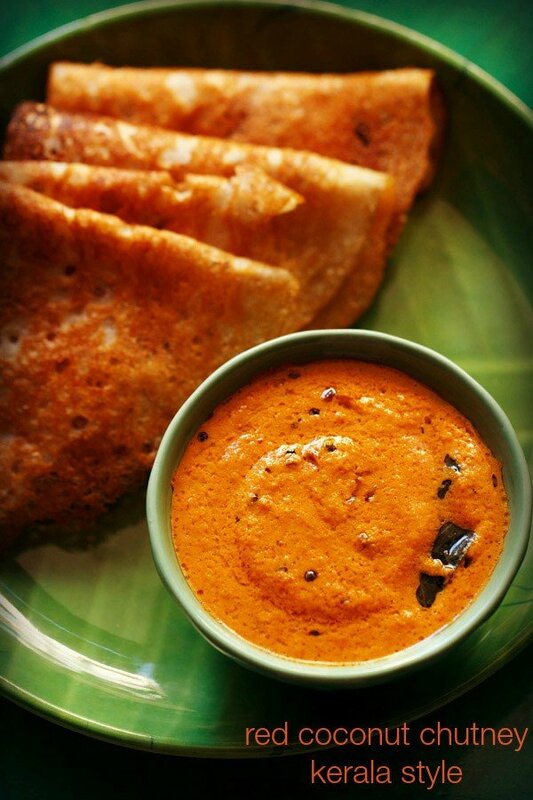 this chutney is also called as hara lahsun ki chutney in hindi. 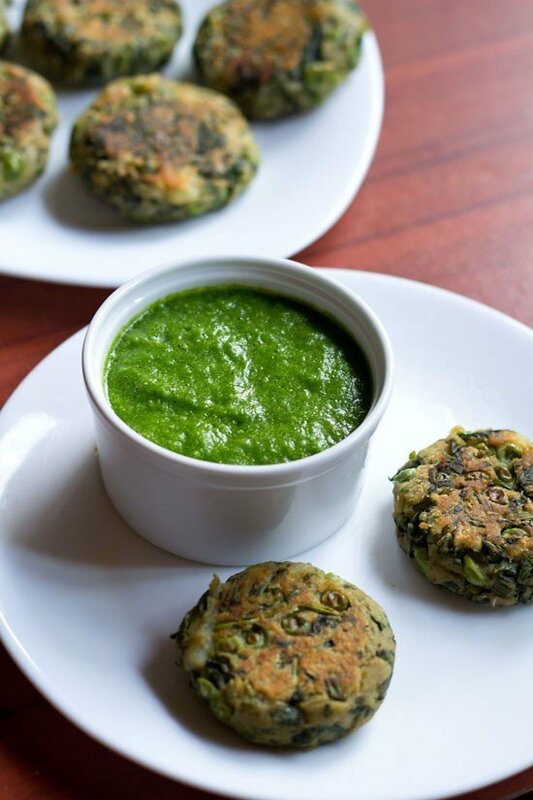 garlic chives chutney recipe or hara lahsun chutney recipe – since garlic chives are in season, i made this green garlic chutney to go with the hara bhara kabab. garlic chives are also called as hara lahsun in hindi. the chives are so handy, you can even add them to your salads or breads and they even make for a quick garnish or a quick chutney. so without saying, the chutney was sure garlicky and was a perfect accompaniment with the hara bhara kababs. 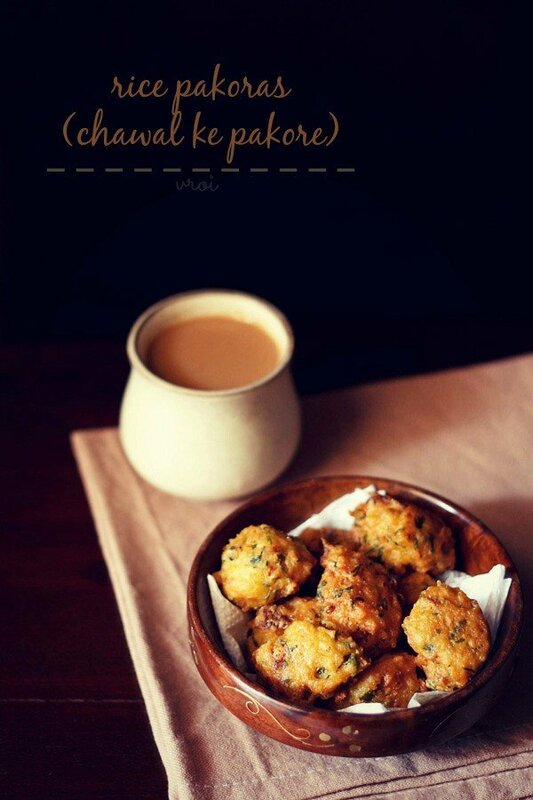 it was also good with the potato pakora & onion pakora i made the next day. 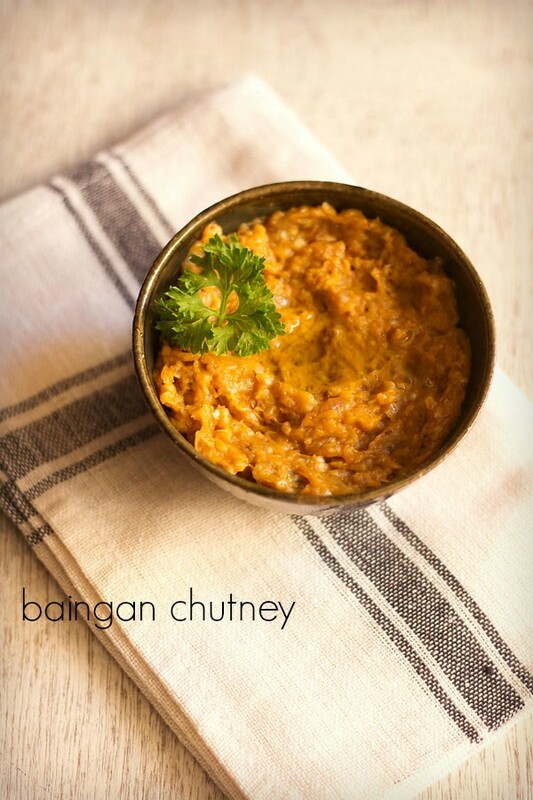 this garlic chives chutney is excellent with starters like kabab or tandoori paneer, mushroom tikka or grilled vegetables. 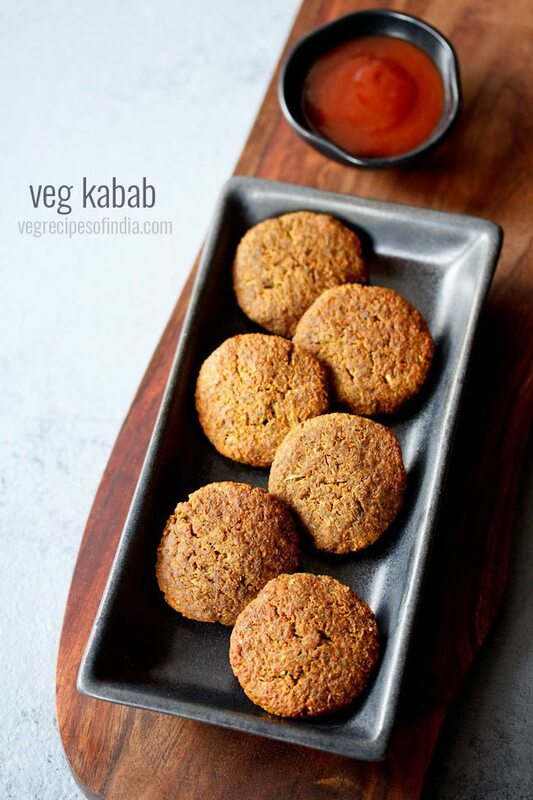 they would go well with samosa or aloo tikki or bread pakora too. 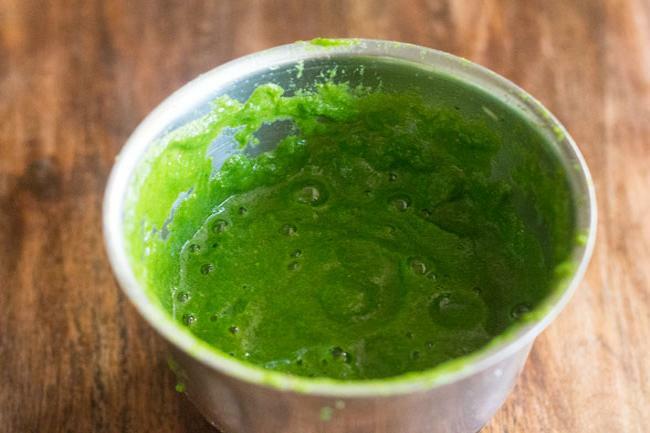 if garlic chives are not available, then make this green chutney with just garlic. in the notes below i have mentioned how much garlic & coriander leaves you would need to use in this scenario. blend all the above ingredients till smooth in a blender or chutney grinder. add very little water while blending. 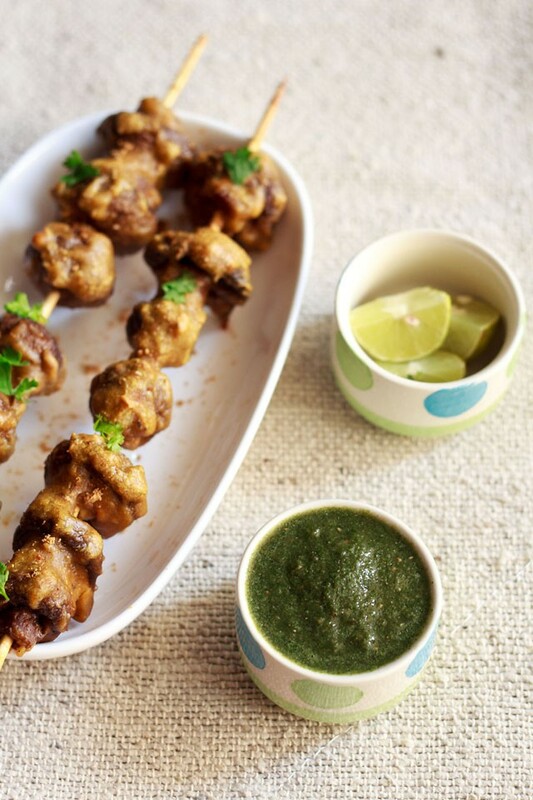 serve the garlic chives chutney with any grilled or tandoori snack or fried snacks. 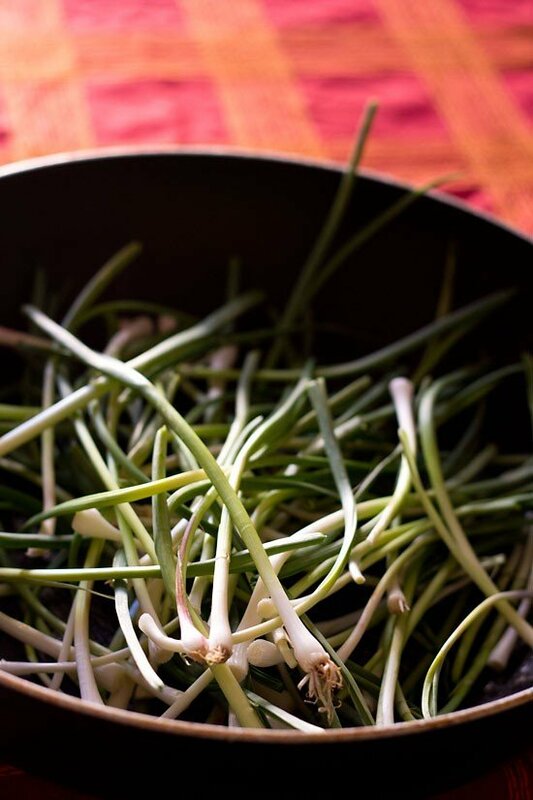 the garlic chives chutney stays best for 4-5 days in the refrigerator. 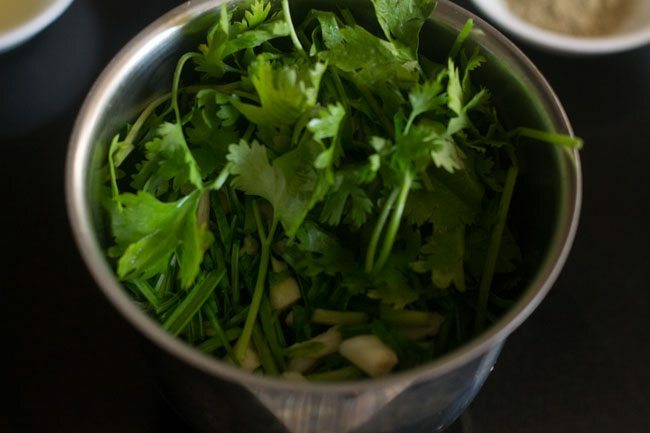 if chives are not available, then add some 6-7 garlic cloves and increase the quantity of coriander leaves to 3/4 cup or 1 cup. 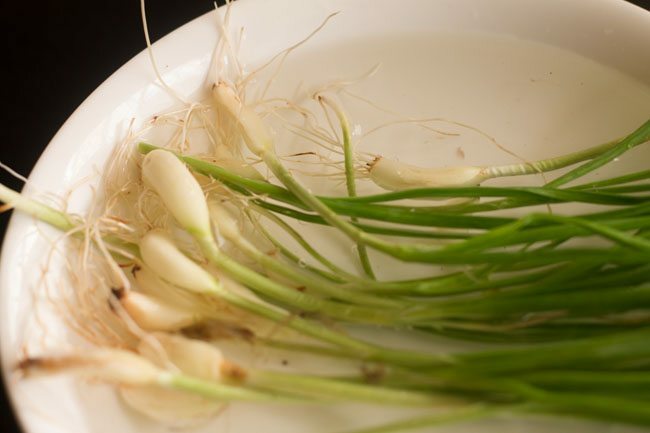 1. firstly rinse 1 cup garlic chives a couple of times in water and then drain the water. 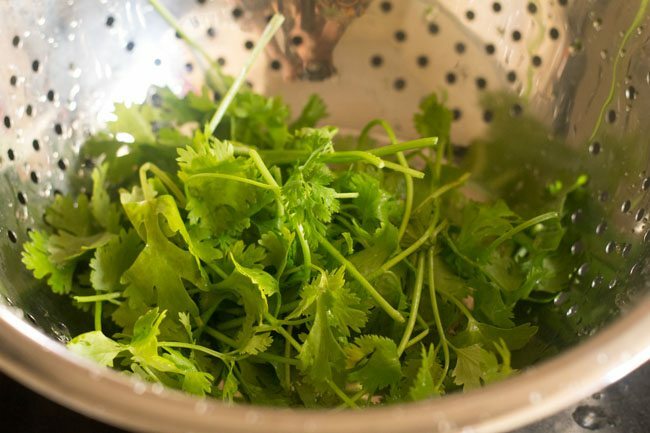 2. also rinse ½ cup coriander leaves in water. 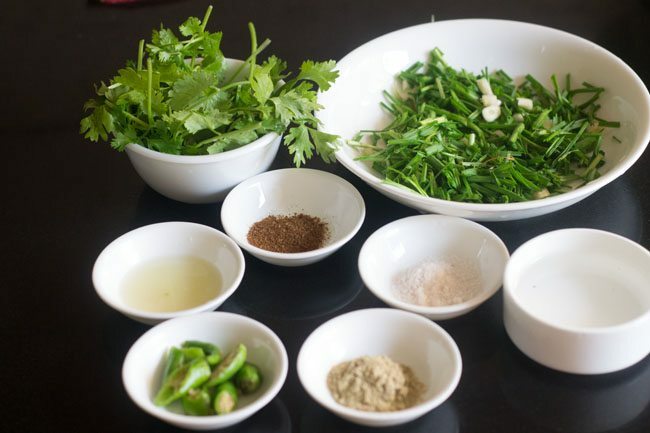 3. roughly chop the garlic chives along garlic bulbs (hara lahsun), 1 or 2 green chilies and ½ cup chopped coriander leaves or torn with hand. measure and keep all the ingredients ready for the chutney. 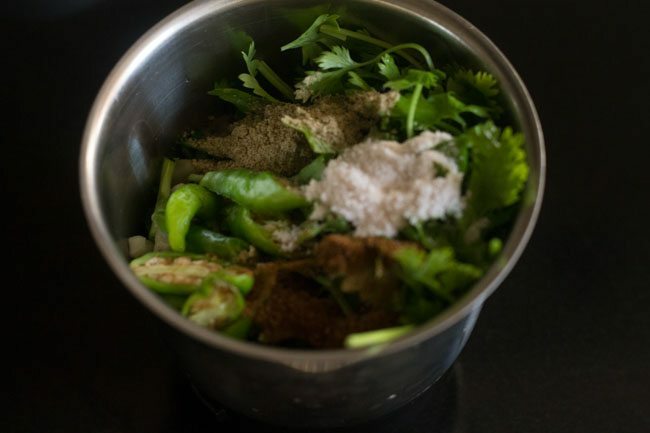 4. in a blender, add chopped chives along garlic bulbs and coriander leaves. 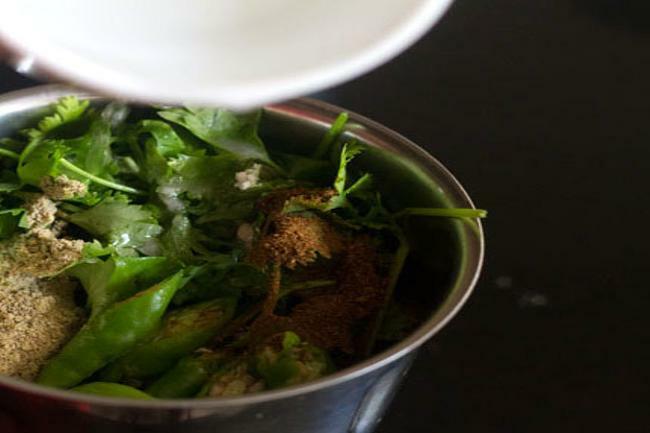 5. next add 1 or 2 chopped green chilies (hari mirch), 1 teaspoon chaat masala powder, ½ teaspoon roasted cumin powder (bhuna jeera powder) and black salt or salt as required. 6. pour 1 teaspoon lemon juice. 7. add ¼ cup water or as required. add very little water while blending. 8. blend till smooth in a blender or chutney grinder. 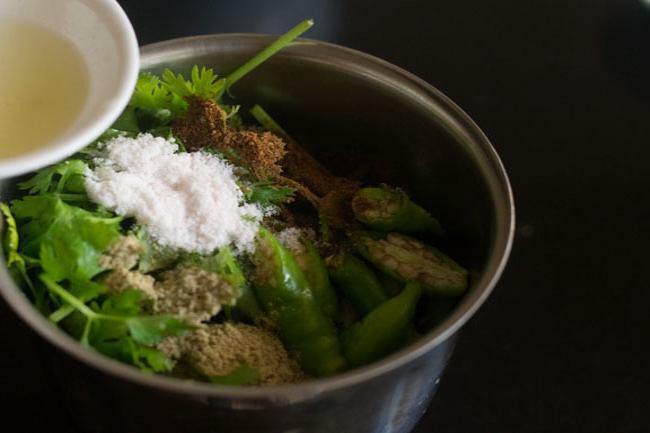 9. remove the chutney in a bowl. 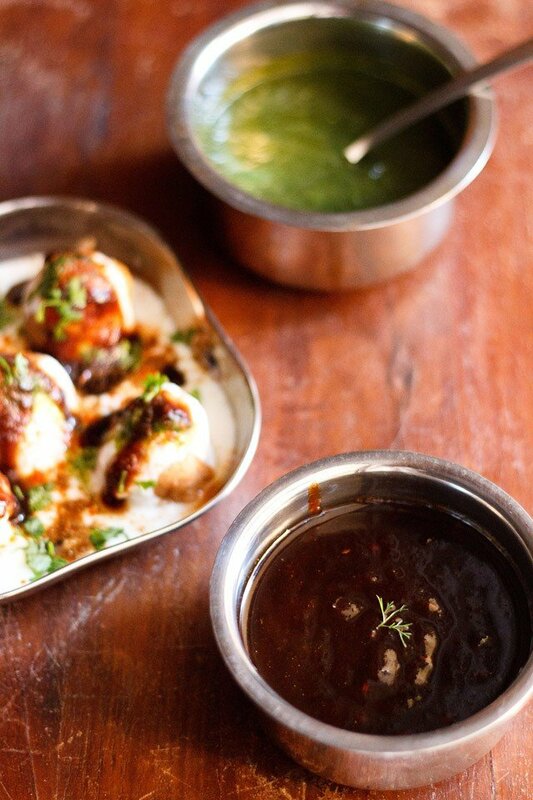 serve the garlic chives chutney with any grilled or tandoori snack or fried snacks. the garlic chives chutney stays best for 4-5 days in the refrigerator. yes you could store in the freezer for future use. Pinning for spring! Love this! 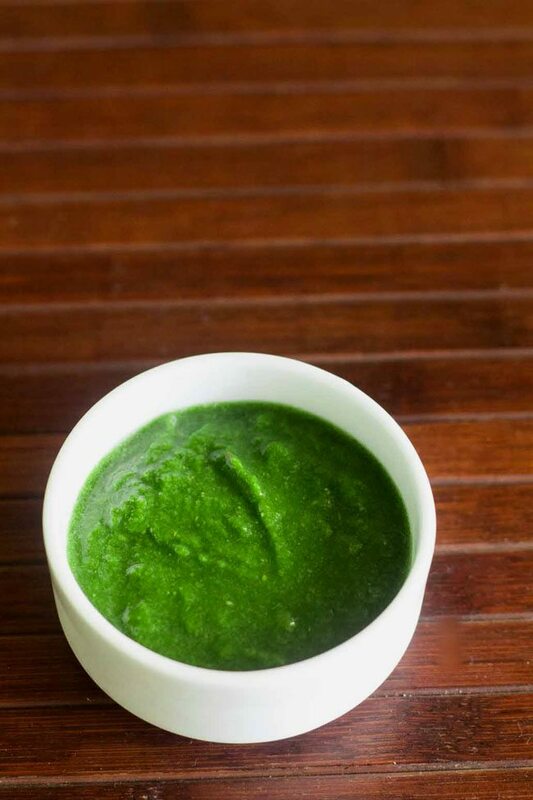 Wow, the chutney looks so luscious and green! I am sure it was lip-smacking good! nice way to use chives !